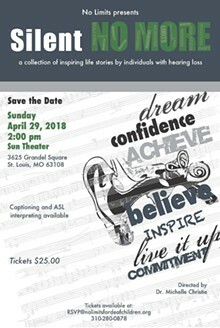 After a sold-out production at Carnegie Hall, Silent No More comes to St. Louis for the first time! 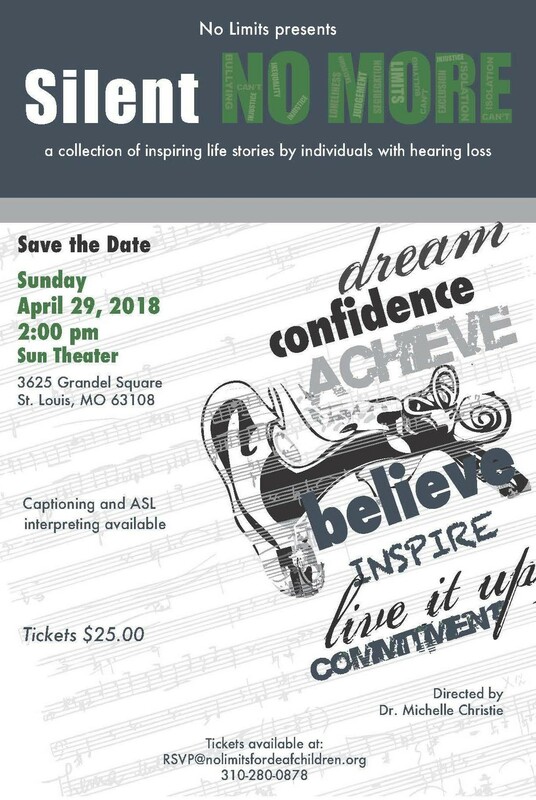 Join us for an inspiring, emotional, and educational afternoon, as individuals with hearing loss share their powerful life stories. A Q&A between the cast and audience follows the production.